[*] LM Drum brakes. Complete running take-offs. All parts are available. [*] 140 heads. One dropped seat. $100 for the god one. [*] 1966 heater ducts. All ducts. Priced when inquiry is made. 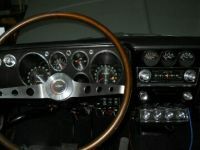 [*] 1966 PG wiring harnesses. All are available. [*] LM 140 secondary carbs. $100 ea. [*] Stock rocker arms. Many available. Edited 2 time(s). Last edit at 01/27/2019 03:30PM by MattNall. If the 68 seat buttons are in good shape, I'll take some. I'll take the good 140 head. How much for the 140 head with the dropped seat? What year are the secondary carbs. Got the choke lockouts? I just wanted to give a shout out to Bob for the 140 exhaust manifolds that I purchased last week. The manifolds could have been mistaken for NOS and were of excellent quality. They were packed well and arrived the day after he shipped them. Also ,he sent them out before I even had a chance to get a money order in the mail. Always a pleasure doing business with like minded individuals. KUDOS to Bob. Just to update the parts still available and some reduced prices. 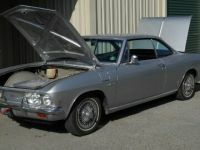 To fund another Corvair project. This is my initial list. I will add parts later. PM if interested in any part. Shipping/special packaging is NOT included in prices. [*] 140 heads. One dropped seat. $100 for the goOd one. [*] LM 140 secondary carbs. $100 ea Price Reduced to $25.00 each. So I can clear up confusion over the heads and engine I still have for sale. My first listing didn't make some things clear. Sorry, I'll try again. Photos upon request. * 140 Engine. Heads are off (But are included in this price) and BOTH need to be checked, one looks to be cut for HP (Step is cut down). Both were on the engine running but compression was unbalanced so it idled rough. Both have had seat work done in the past (There are stake marks on the seats on one cylinder of each head). The rest is together. Shrouds are off but cleaned/painted. $700 for the whole thing. Good price for just the parts. * Heads Only - BOTH need to be checked, one looks to be cut for HP (Step is cut down). Both were on the engine running but compression was unbalanced so it idled rough. Both have had seat work done in the past (There are stake marks on the seats on one cylinder of each head). The powder coated oil pan I bought from Bob was in beautiful condition! Updated list of parts for sale. Prices are flexible at this point. [*] 140 heads. One dropped seat. $100 for the good one - SOLD. [*] LM 140 secondary carbs. $100 ea Price Reduced to $25.00 each - Sold. [*] 1966-69 secondary lockout linkages. These are the linkages that go on the carbs.